The deadline for booking for the Summer Young England and Wales Programme (4th to 7th June) is fast approaching! Book by Friday 26 April for this popular event. Click here for full details. Meanwhile, we are looking forward to meeting the delegates in the Spring programme. Click here to meet the delegates. London Borough of Brent is Young Local Authority of the Year 2019! 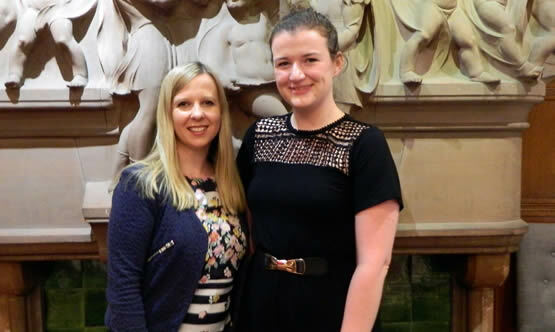 The title was won by team members, Elaine Cleland-Awity, a strategy delivery officer in the council's housing supply and partnerships service, and social worker, Emily Willmott. In one and a half intense days in early April, 36 teams of two from local authorities across the country each made three presentations in this demanding annual competition. As chief adjudicator, Barbara Millar, remarked in her summing up, the Argument papers – the major contribution of the event – 'informed, enlightened, amused, converted, encouraged and enthused us'. She praised the Brent team for its 'authoritative and deeply humane paper examining the entrapment of children to serve the 2,000 county lines drugs networks across the UK. They hooked us immediately with the story of one such child – AJ, 14 years old and already caught in a web from which there is no escape. The writing remained tight and focused throughout and the paper bristled with ideas and ways to move forward...the delivery was strong and confident and the team had good command of their paper'. Runners-up were Doncaster Council, represented by Dom Jeffrey and Rebecca Rowbottom. 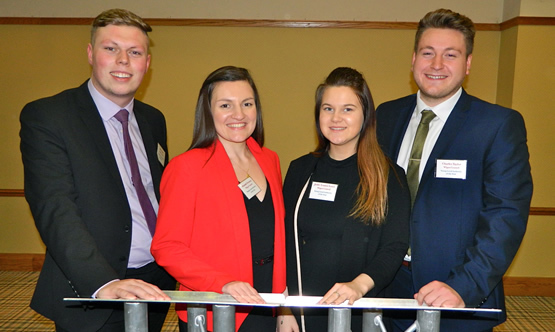 Norwich City Council (Josh Aldred and Alexander Giddings) was highly commended and London Borough of Lewisham (Caroline Dart and Charlotte Parish) and Wirral Metropolitan Borough Council (Rosie Murphy and Sarah Towey) were both commended. Click here for photos. The Best Pride of Place award went to the Lewisham team for an 'utterly compelling' two minutes on the dark historical tale of the murder of Christopher Marlowe by this 'confident and engaging' duo. Best On the Spot went to the Norwich team for their question 'Does pineapple ever belong on a pizza?' – a clever play on the never-ending Brexit debate which was hugely enjoyed by the audience. The dates for the next Young Scotland Programme have just been announced: 30 September to 3rd October, Troon. Watch this space!